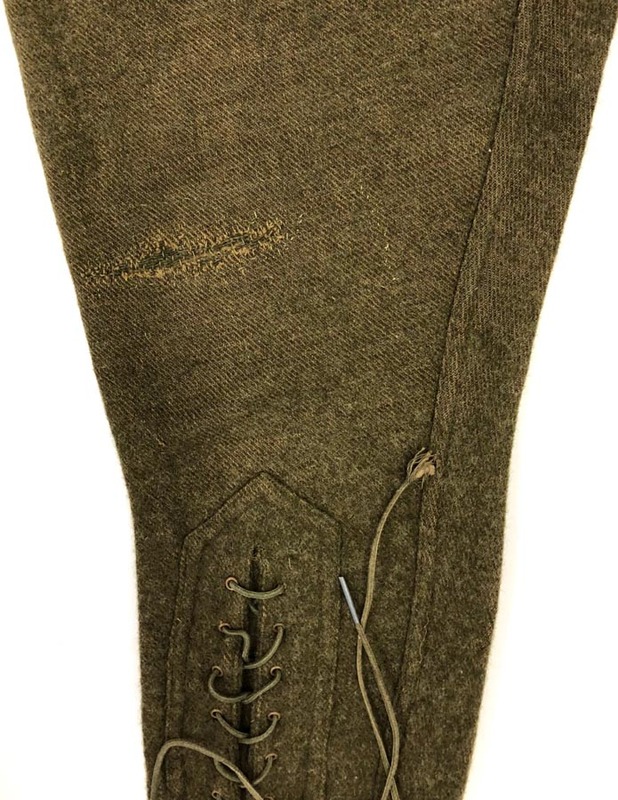 PHYSICAL DESCRIPTION: This pair of WW1 US Army Breeches are in nice condition showing some wear but no mothing. 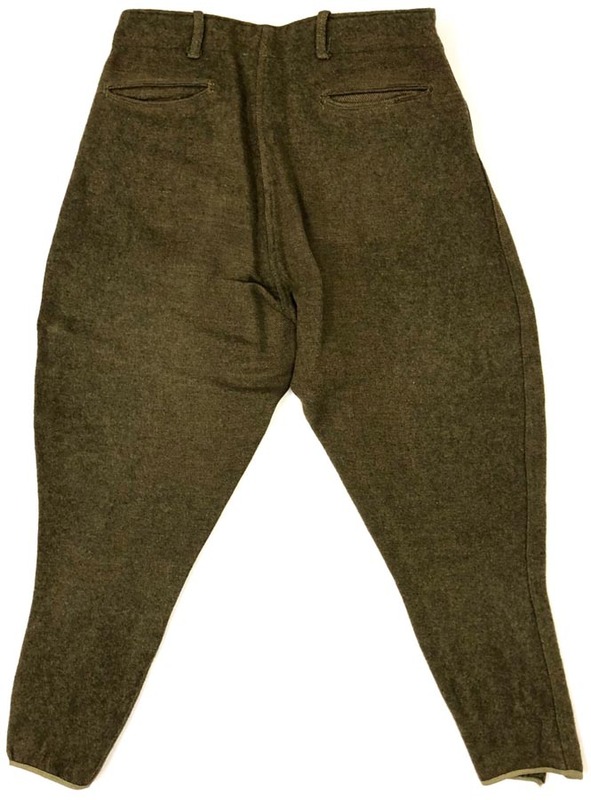 Breeches have a period repair at right knee area that measures 4 inches across. 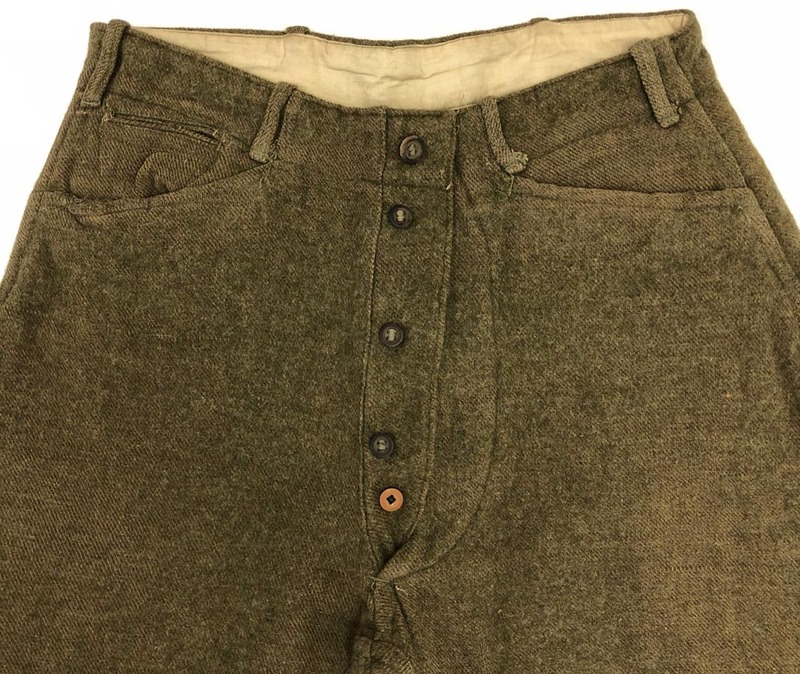 I believe these to be private purchase because the crotch buttons are horn and not the U.S. Army marked type. 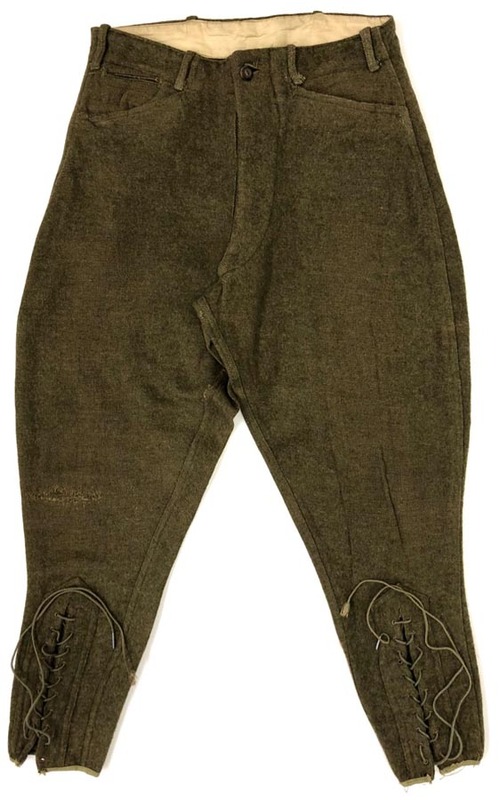 Breeches measure 32 inch waist with a 27 1/4 inch inseam. No quartermaster tag.